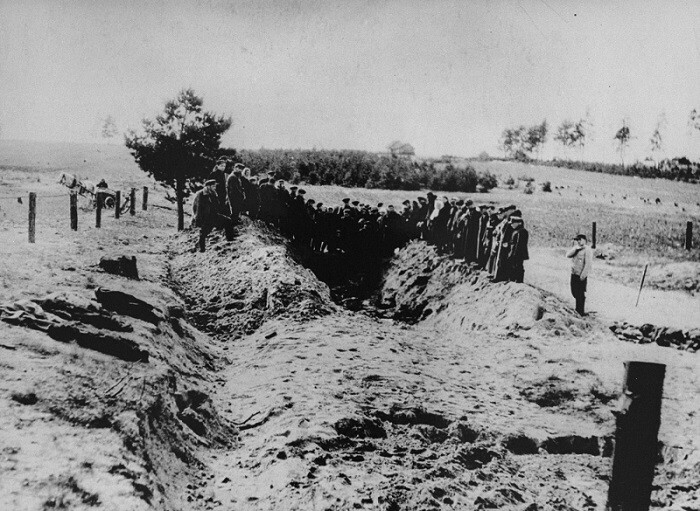 Soviet officers preside over the opening and exhumation of a mass grave at the Ninth Fort. Photographed by George Kadish. Kovno, Lithuania, 1944.